This is the first in a series of posts on Perceiving the Anthropocene. — Homer, The Odyssey, IX.502-506, Emily Wilson, trans. Odysseus’s announcement functions like a signature upon the completion of his gesture, the fiery blinding of the Cyclops after plying him with gifts of wine, which he did in tandem with a ruse, claiming that his name was not Odysseus but “Noman” (Οὖτις or Outis, which means “nobody” or “no one” — Jules Verne’s voyager Captain Nemo bears the Latin equivalent “Nemo” as his name; like Outis, it is commonly a pseudonym for artists). Odysseus, who is usually so clever, crafty, and artful, here gives in to anger, an affect, and his reason lapses. He blows his cool and thus blows his cover, enabling a blind giant to “see” him. Insofar as Odysseus is a cypher for humanity, an artful species, user of guile and guise, this moment is crucial. Homer tells us something about ourselves: that we are, like him, liable to nod, to slip up and reveal our authorship of the obfuscation behind which we act, foolishly signing the blindness that we cause, exposing ourselves by announcing ourselves in a moment of enraged weakness, inviting a giant’s — and perhaps also a god’s — wrath in the process. When Paul J. Crutzen popularized the term “Anthropocene,” he effectively signed the geologic record in the name of humankind, enabling us to see ourselves as perpetrators of gestures that visited harm upon the planet. Competing terms like “Capitalocene” and “Cthulucene” are efforts to sign someone or something else’s name — or to claim that Crutzen’s signature is a forgery, that the “anthropos” is not to blame. Regardless, his neologism showed us something that we had not seen so clearly before: we are a geological force, not so different from other forces that shape the planet. How, literally but also figuratively, can we see the Anthropocene better, perceive it with our eyes and with our mind’s eye — regardless of who or what is most ultimately responsible for our species’ planet-shaping agency? This is the sort of question that a discipline not usually in conversation with geology might help to address. That discipline is art history, which possesses methods that are useful for seeing traces of human artfulness, for it has polished itself against some of our most rarified and perplexing artful traces: works of art. Consider, then, a few fragments of glass, among the most ordinary traces of human activity, now ubiquitous. Presumably erstwhile bottle parts, though perhaps not (and precisely this indeterminacy is worth acknowledging), I collected these green, greenish, whitish, and transparent bits on a black beach in Sorrento, Italy, a city that, in antiquity, was home to the Sirens’ lone temple, and local tradition holds that it was there that Odysseus heard their songs. Art-historical methodology sensitive to overlapping of materiality, form, and meaning can help us to see these pieces and, through them, see aspects of the Anthropocene that we overlook when we operate with an understanding of it that prioritizes sites of pressing catastrophe: climate change, for instance, or highly toxic places that require environmental remediation. Through these glass fragments, we can see a subtler Anthropocene that exists everywhere and enlarges our sense of what we do on and to this planet, specifically through our many diverse arts. 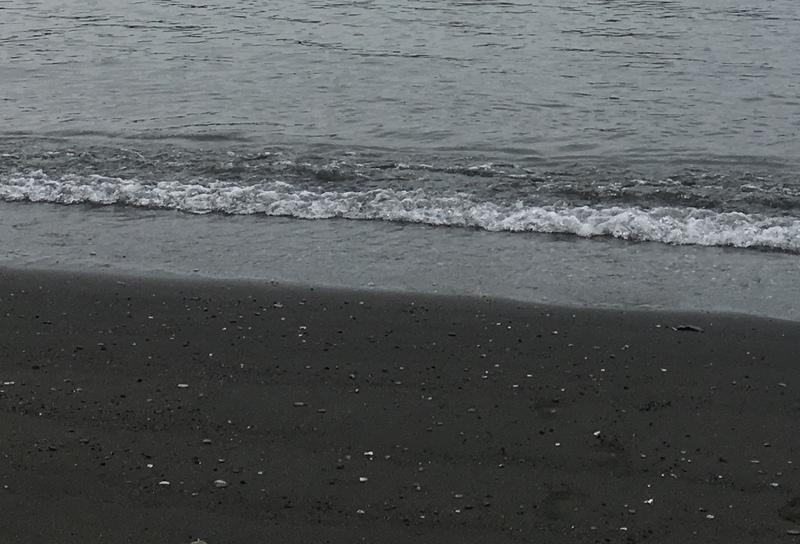 Spotting a shard of glass on the beach as it sticks out from a comparatively homogenous background has a biological immediacy to it, for avoiding sharp edges prevents what could be painful encounters. But the act of seeing glass is itself displeasing in an aesthetic sense, for recognizing that the tourist beach upon which one wishes to relax at leisure is hardly a paradisiacal retreat from civilization because it is polluted by human litter, including litter that may well be the remains of someone else’s leisure or, because water in Italy often gets packaged in glass bottles, someone else’s basic essentials for living. Glass here reminds us that humans intrude even and especially at sites where we would want to escape our species, such as at a beach, which is a site of transition and geological transformation, a threshold where rock, whether its source is coastal or further inland, mixes with organic matter, mostly coral and shells, forming sand. A shard of glass is still large enough to indicate our intrusion, and one colored so differently from its surroundings is easy enough to see, but as it too is ground down, we cease to be able to see it as, in some sense, ours, for glass and the sand it pollutes are largely comprised of the same substance — silicon dioxide — and at tiny scales, it blends with its environment beyond our perceptual capacities. As water bats about our bottles, grinding them down into particulate matter, they become increasingly indistinguishable from the medium in which they find themselves. Our effect on the rest of nature can be immensurable. There could be a beach comprised solely of ground up containers, and we might not be able to see it as natural spolia pilfered from human artifacts, though that is increasingly the substance of things, as our arts work nature over thoroughly. However, we tend not to confuse our glass productions with naturally occurring glasses, which appear at sites where extreme heat — something relatively rare — has created them. Volcanic glasses such as obsidian, lightning-caused glasses such as fulgarites, and meteor-formed glasses such as tektites all exist in nature because silica has encountered intense heat. Of these three sources of heat — volcanism, lightning, and meteors — the first two are also sources of fire that is not manmade, that is, fire that is not a product of human artfulness (which has close ties to the Promethean ability to control fire with knowledge and technology). Prehistoric people artfully transformed these naturally occurring glasses to meet their needs. The art of glassmaking, however, is roughly coextensive with the emergence of civilization in North Africa and West Asia, after which it appeared in South Asia, East Asia, and Europe. 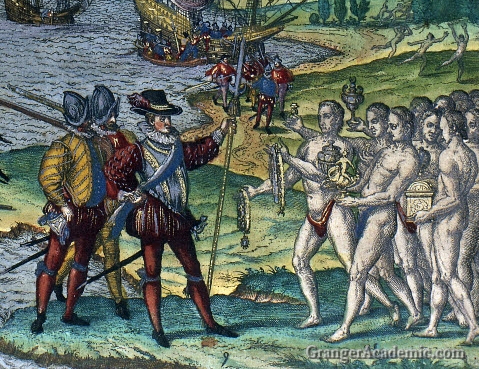 It played an unfortunate role in the history of colonialism, when Christopher Columbus presented glass beads to the apparent delight of Taino people he encountered upon first making landfall. Today, the vast bulk of manufactured glass is industrially produced soda-lime glass, which gets used primarily for windows and containers. There are also more exotic manufactured glasses such as trinitite, which formed unintentionally when the world’s first atomic bomb detonation, an event that left traces in all the planet’s soil and, some contend, inaugurated the Anthropocene, heated the sandy ground of the Jornada del Muerto. All of these artificial glasses are, despite their origins, comprised predominantly of the same silica as naturally occurring glasses. Our production (or “byproduction”) of them is part of a larger natural-artificial process by which silicon dioxide molecules pass through various forms, becoming a bottle, a beach, a byproduct, and much else besides. 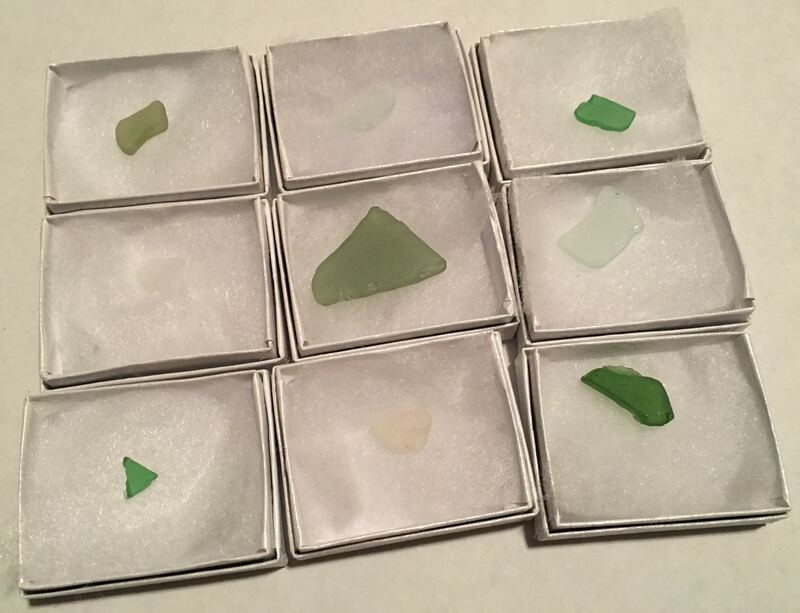 The glass fragments that I collected from the basaltic beach in Sorrento — a product of volcanism originating from the many volcanoes in the Phlegraean Fields around Naples — were, until I arrested them from their degradation, on their way toward formlessness. They still are, for I merely changed the terms of their transformation, affecting the geological record by means of a negation, as it were. Subject to entropy, they will eventually find their way to a particulate state, perhaps then to be struck by lightning or melted in a crucible and again given a more complex form. Just as inevitably, we are shapers of physical matter and our glass fragments, like the fragments of pottery from antiquity that tend to depict mythological scenes, among them Odysseus eluding Polyphemus, are traces of our artfulness and testaments to the values shaping our artistry. The artificial fire animating it causes us to enter the geological record differently than the fossilized life that preceded us. Where it tended to appear as traces of its bodies and, secondarily, through the coprolites, footprints, and other trace fossils that preserve its behaviors, we appear (and disappear) far more abundantly through the latter, which include traces of our activities and our occlusion of those activities — such as the act of collecting glass fragments from a beach. This leaves a profoundly furtive record, much richer in artfulness than we tend to acknowledge. To understand nature, we now need to understand our artistry — and understand it better lest we continue to be our own fools. This entry was posted in Perceiving the Anthropocene, Reflections and tagged art, Art history, glass, Odysseus. Bookmark the permalink.